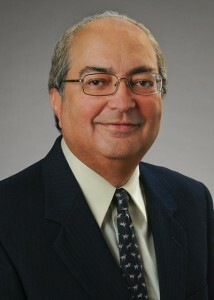 Manuel ("Mike") Garcia, tax counsel to Ashford & Wriston, began practicing law in 1982. Mr. Garcia has lectured extensively on tax related matters. His two favorite topics over the years involve IRC §1031 exchanges and foreign investments and he has published many newspaper articles on these two subjects. He has also published articles in professional journals, including "1031 Exchanges: The Need For Consumer Protection", HSBA Journal, July 2006, and "Application of Sections 1031 and 1445 to Exchanges of U. S. Real Property by Foreign Persons", 48 The Tax Lawyer, 471 (Spring, 1995), and more recently authored "Foreclosing Mortgagee Can’t Ignore HARPTA & FIRPTA Withholding Requirements", Hawaii Bar Journal (October 2014); "IRS Offshore Amnesty Program v. Reasonable Cause Defense", Hawaii Bar Journal (February 2014); The FIRPTA Withholding Guidebook, ABA Publishing, 2013; and "Chapter 4F, Exchange Related Conveyance Documents" in Hawaii Conveyance Manual, 5th Edition (2010).